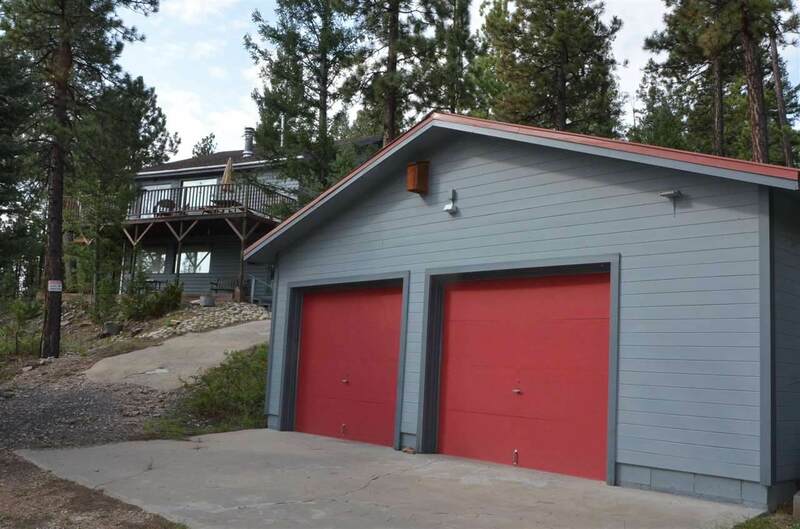 Do you dream of owning that peaceful mountain cabin in the woods? 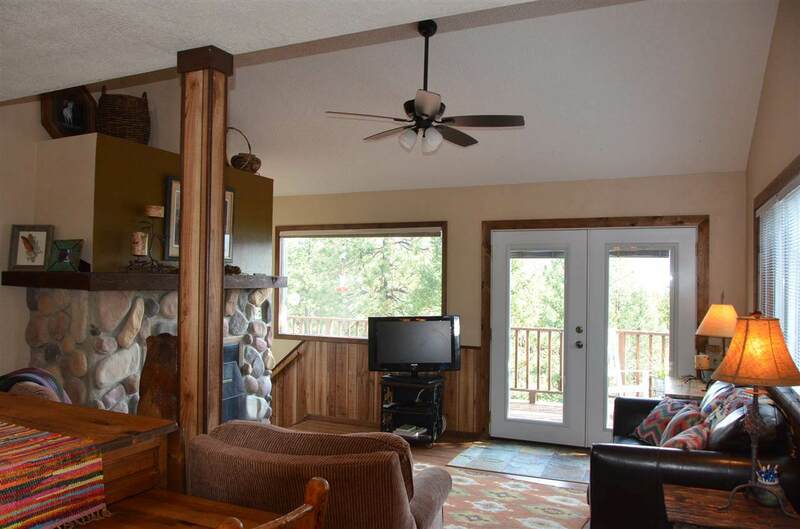 A turn key cabin that has year round access, comfortably sleeps 12, has room for the toys in a 2 car detached garage, and some room to roam on 3 acres? Look no more! 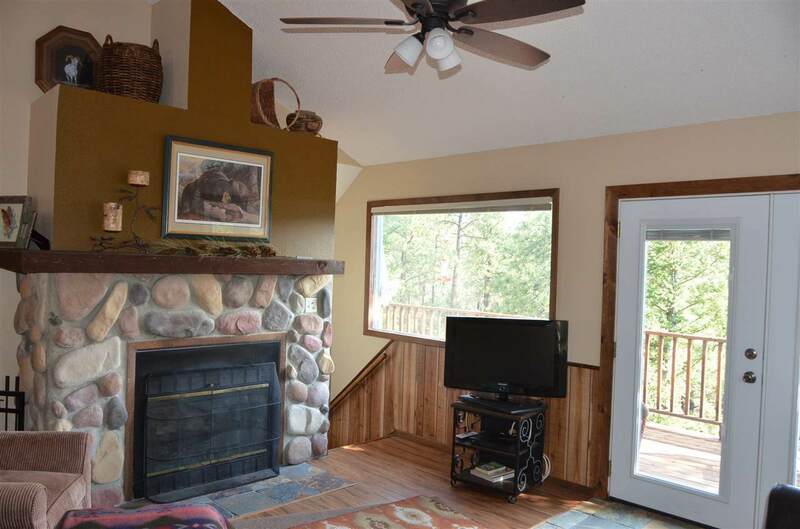 This charming cabin has been lovingly maintained with much attention to detail & there's no need to worry about the added expense of furnishings because the owners will leave most everything with just a few exceptions. 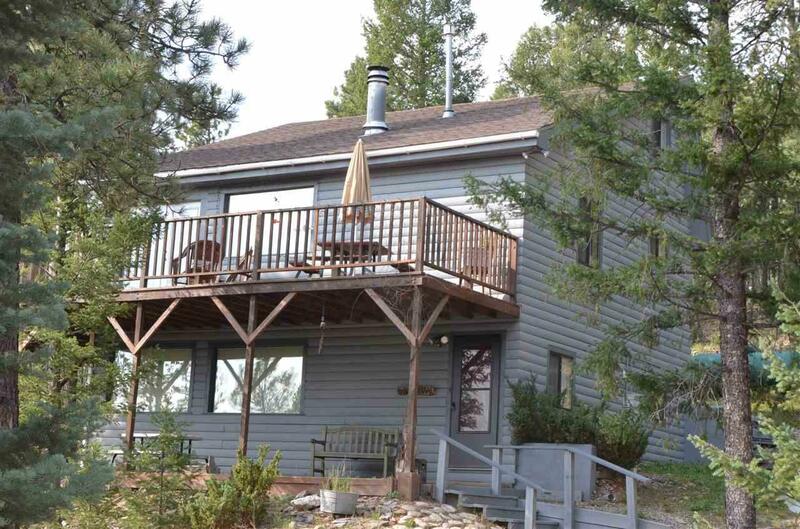 The front and side decks will beckon you to enjoy the views or just watch the deer, elk and turkey meander through! Inside you'll find 1600 SQ FT split between two levels with a sleeping loft, too! Entering on the ground level you'll find two bedrooms although one doesn't have a closet so we'll just call it extra "sleeping space", along with a full bath, and a family room with a pull out sleeper. The kitchen, main living area with rock fireplace, another bedroom and bathroom, and access ladder to the sleeping loft are located on the second level. Open any door on the second level to the wrap around deck with only a few stairs to reach ground level on the backside of the cabin. Be forewarned....if ever you make this your "cabin in the woods"..you may end up making it your "forever home" because you won't want to go home!